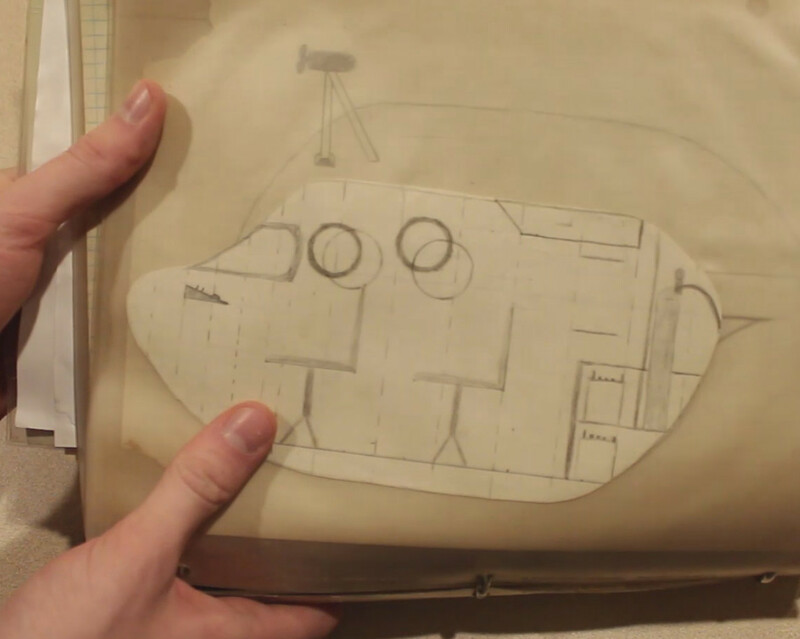 Considering that his father was coming up with detailed schematics for submarines in his pre-teen days, it’s probably no surprise [Ronald] has turned out to be a rather accomplished maker himself. He took the original designs and started working on a slightly more refined version of the CURV II in SolidWorks. Not only did he create a faithful re-imagining of his father’s design, he even went as far as adding an interior as well as functional details such as the rear hatch. Once the pieces for the submarine were printed out, it was time to begin the finishing process. The bulk of the documentation for this project covers how [Ronald] took the raw printed parts and finished them, which is sure to be of interest to anyone who’s ever wished their printed projects didn’t actually look like they were printed. The secret is a mixture of filler primer, sand paper, and an incredible amount of patience. As if he wasn’t already making us all look like terrible children by comparison, [Ronald] finished up the CURV II model with LED lighting (controlled by a little switch on the sub’s control panel) and a wooden base. The end result is a high quality model that’s sure to be sitting in a place of honor for years to come. 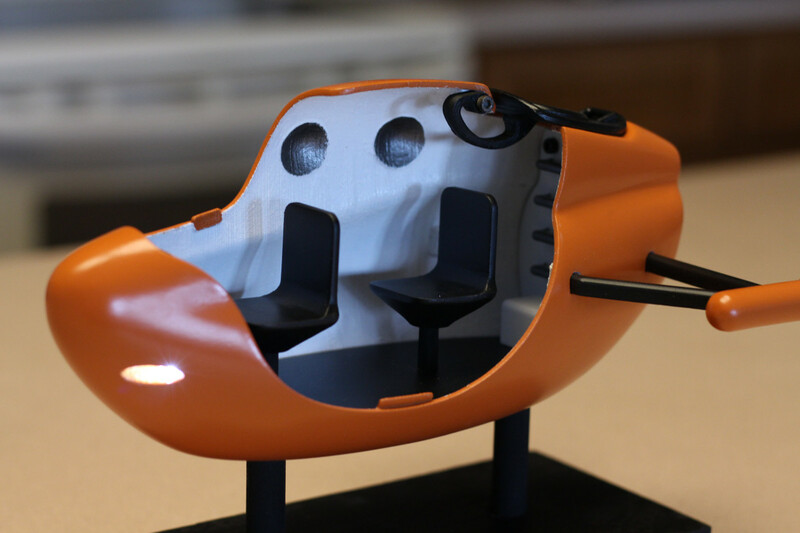 The 3D printed models we see here at Hackaday tend to be of the engineering variety, so it’s nice to see something that isn’t quite as serious. 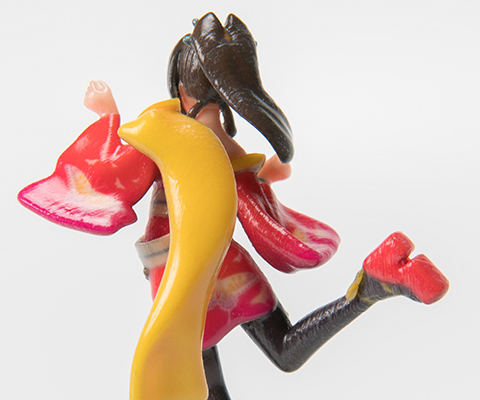 We love that for all the refinement that went into the model, the overall look still retains the cartoony lines and proportions that remind you this is the product of a child’s mind. Check your first link please. Hmmm. Takes me to an unrelated Imgur page. Weird, takes me to a very related Imgur page. The Imgur page it takes me too is a picture of the ship. Yeah, it takes me to a gif of some guy (on an Imgur page). That’s weird, you aren’t the first person to say that an Imgur link takes them to something different. It’s working as expected when I click it. yeah I reported an issue like that the other day regarding imgur – also on an ios works ok today though. Excellent job and, a very thoughtful thing to do for your Dad. That is the most Tom Swift Jr design I’ve seen in a while. This is like a shuttlecraft to be carried by a Jetmarine or Flying Seacopter. Just think what his dad might have accomplished if he hadn’t taken the binder… kids! As a father of adult children this is fantastic what you did for him. Fantastic, fantastic! So proud of you Ronnie. We know how many hours of hard work it took for this creation. For some reason, it has me thinking of the Beatles “Yellow Submarine” artwork and the old TV series “Voyage to the bottom of the sea”. This reminds me of all the airplane drawings that I drew when I was an 11 year old kid, not too many years after this sub was created. They were similarly cartoonish, though they lacked much of the impressive detail shown on the sub drawings. Very well done, I’m sure that the recipient of that gift will cherish it for many years to come. The airplanes I drew were bristeling with machine gun turrets and multiple bomb bays! This sub has hidden torpedo tubes and disguised ICBM launching capability. Very cool and thoughtful! Sounds horribly complex with all the finishing though. I think that new photo 3D printer at pictographics in Las Vegas would rock this! Great maker, and great YouTube Channel. I have been following Ronald’s progress for years, and he consistently puts out great content. Keep it coming. Cannot wait for the next video. This is awesome. Probably most people visiting this site have childhood memories of doing sketches and designs like his Dad. Bringing that kind of thing to life is such an incredibly thoughtful gesture. what an incredibly cool thing to do for your dad. just wow… and it looks amazing! Awesome. More of this. I am remembering all the cartoons as a kid that didn’t have toys, or had crappy toys. Really really WoW-WonderFul. Needs a small Eng Notebook w Specs. ???? Make that next.